We make the case for a personal assistant for drivers. Download for free below. 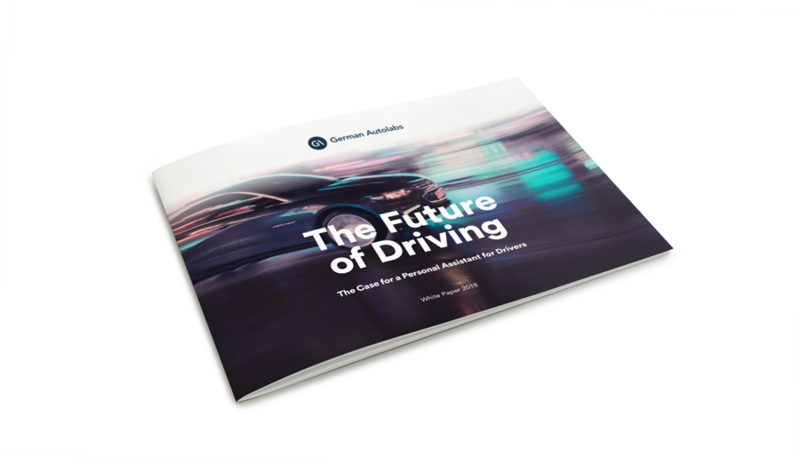 The in-car experience of drivers is at a crossroads. On one side are the tech giants, such as Apple and Google, whose in-car software CarPlay and Android Auto has become popular with drivers. On the other are the legacy auto companies, who provide their own in-car systems. With these two sides competing for supremacy and the new context of autonomous vehicles and voice technology, what does the future hold? German Autolabs is building the world's first digital assistant for drivers. The Berlin-based startup utilizes the latest voice and gesture control technology, alongside artificial intelligence. The combination of an interoperable, scalable software platform for cognitive assistance with a retrofit hardware device democratizes the latest connected car technology - making it accessible to everyone. Looking for latest press releases and official images?